This topic contains 4 replies, has 4 voices, and was last updated by Slam_Donck 3 weeks, 1 day ago. That is Corlear Avenue pictured looking north and the hill of Spuyten Duyvil/Riverdale on the left. 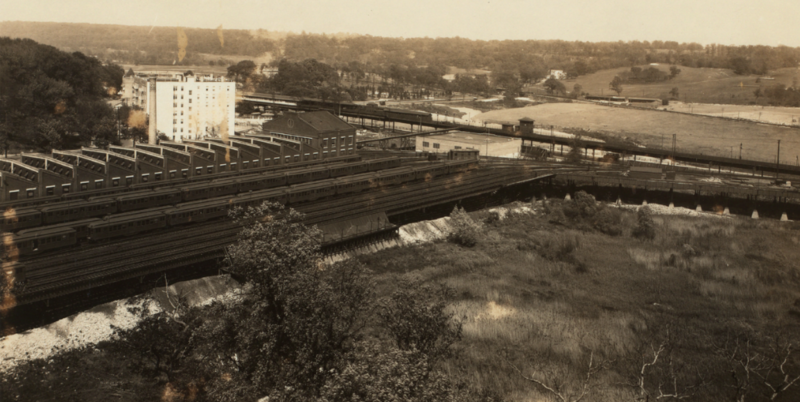 Tibbetts Brook winds its way through town before it was buried in the sewer system. Way in the distance it looks like there is some kind of bridge or overpass over the brook that I did not know existed–perhaps near 238th Street? Looking forward to the presentation tomorrow and I hope you all can make it. That must be P.S.7 on the far right. I wish I could have made it to the presentation. Was your question answered? I’m pretty sure that “bridge” is the elevated train yards, aka Hedley Hall. 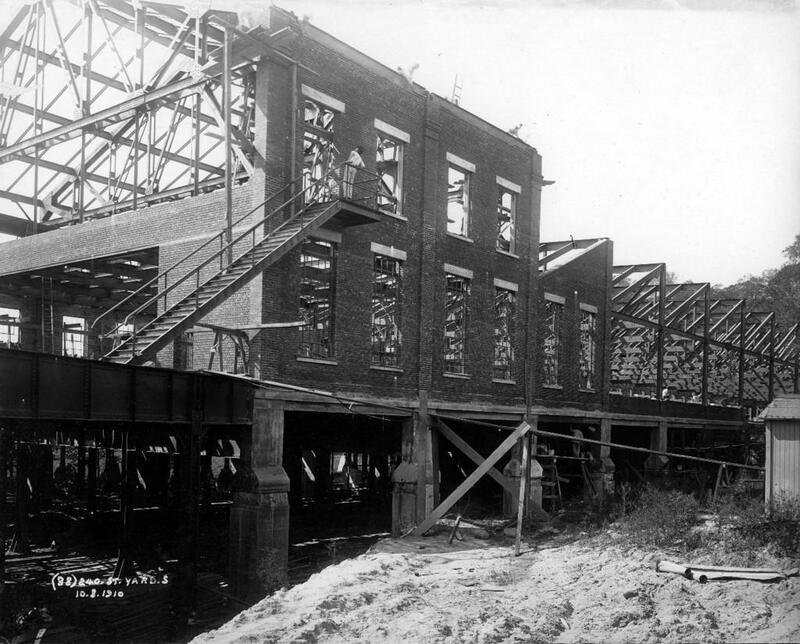 Perhaps during construction, which this pic, from nycsubway.org, says was 1910. The smokestack visible behind it in the OP, (still there today) makes me pretty sure that is what we are seeing, as do the angled tracks leading there from Broadway, visible coming out from behind PS7 in the OP. Someone did bring up this question at the meeting although no one came up with anything definitive about the structure, which I had thought was a bridge. But I do think you nailed it here. 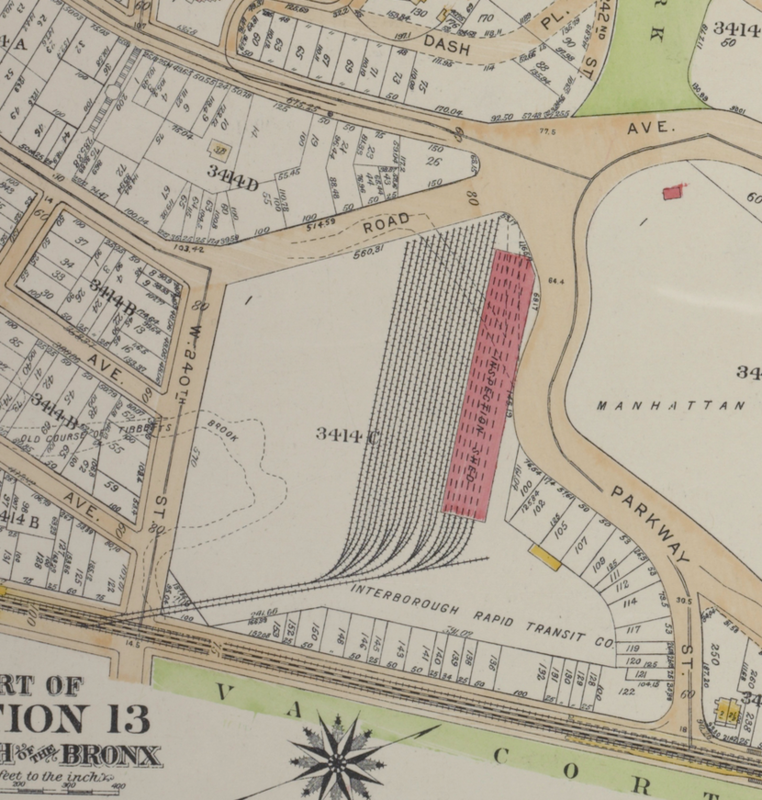 The 1921 Bromley map below shows the train yards and you can see just above the tracks is a section of road labeled “ROAD.” You can see this same road going up the hill in the original photo to the left of the structure. 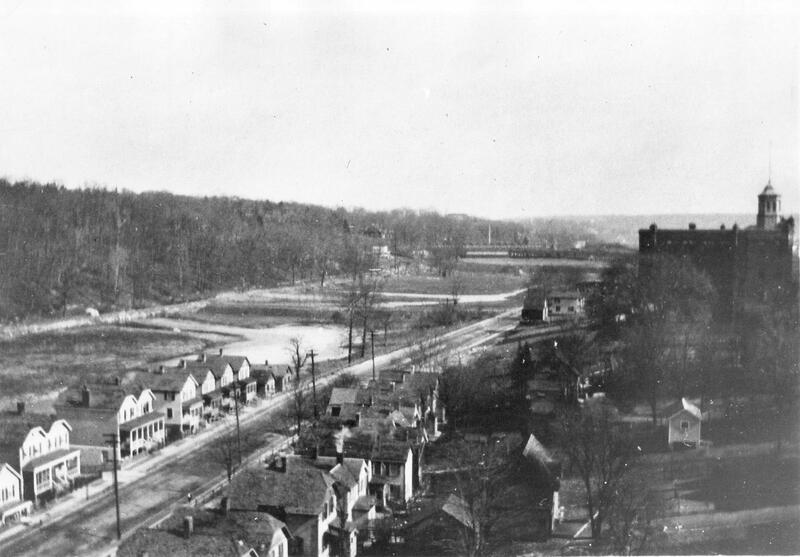 This road is essentially the same path that exists today from Waldo Ave to W. 240th Street (alongside Manhattan College’s new student center). Great detective work and thanks for sharing. I find it incredibly fascinating that the Bronx went from a garden oasis to an urban jungle seemingly overnighT. I think the subway moving north and immigration had a lot to do with it. Urban sprawl crept in quickly.